It’s me, your captain speaking. How incredible that somehow a group of people appointed me their leader, or queen as I like to think. If only you knew what you were getting yourselves into. But somehow here I am. Running drills that I made up on the spot, dancing more than playing, throwing a hammer every other point. Not your typical leadership style to say the least. I’m no Sidney Crosby or Michael Jordan, but I’ve been around long enough to see the potential this scrappy team has. We have an unconventional system but it works. I couldn’t be happier to lead a mishmash of girls voluntarily hanging out with me despite the other things you could be doing at 10 at night. The weekends you could’ve spent snuggled up in your bed instead of crammed into a couple of hotel rooms or single person apartment. You the real MVP’s. Cue the confetti and champagne showers. Somehow I was able to convince you that this was a good idea and now I have trapped you with my charm, befriending an unlikely squad of ladies. If it wasn’t for this flatball game we call ultimate, chances are we would’ve never crossed paths. What a tragedy that could’ve been. It’s like walking past your long lost twin without ever realizing. You all are like my family and I’m the mom...not just any mom, a cool mom. Like any good mom I only want the best for my children. Those conditioning workouts we do? It’s so you can out last even the fastest of teams. Put in place, not only to torture you after a night out, but being away from you guys for more than two days is too much for my heart to handle. All those emails and last minute schedule changes? To keep you on your toes, of course. One day you collectively decided that I had what it takes to oversee a team and that confidence sparked a belief in me that I was more than a goofy, not-taken-seriously chick. I was a captain. I guess what I’m trying to say is thank you. From the top of my hammer to the dirt between my cleats. Thanks for sticking by me and making me feel important. There’s no better feeling than knowing that my team is behind me on the field and on the dance floor. Don’t know how I got so lucky to lead a team like this one, but I couldn’t be happier with the outcome. You complete me. I’m not crying, who’s crying? Because of what I learned this summer, I will be confident. I will be powerful. I will be strong. I will play with full commitment, and I will use the pain that comes from coming up short as motivation instead of discouragement. I will work to ensure that other girls have the same opportunities I had. I will give back to this community which has given so much to me. With the populous criticism of concussion coverups and masked misogyny, it’s sometimes difficult for progressives to find an ally in american football. This article was written by a guest writer. The opinions expressed in the post belong to the author, and do not necessarily reflect the views of The Ultimate Project. In 1971, Congress passed a law that changed the trajectory of equity in sports. Looking back from our comfortable (don’t make me laugh) seat in the 21st century, Title IX and the educational law’s effect on athletics seem like fairly obvious progress. Even though sports were not directly addressed in Title IX, the law marked a turning point for women's involvement in sports . Though the playing field is by no means completely level, the spirit of Title IX is alive and well. This is especially true in sports that were born after it was implemented, like Ultimate Frisbee. Yet at the same time, while the ideals and spirit of Title IX are highly prevalent in the minds of many Ultimate players, in practice American’s culture and view of women in athletics shapes all sports similarly. As ultimate grows in popularity and expands into the professional market, there has been an active effort by its players to maintain and increase the accessibility it aspires towards. As Ultimate is a post Title IX sport, gender equity has a much larger presence in its core ideals than other mainstream sports. Ultimate players have historically put these ideals into practice in the ubiquitous coed leagues which go from elementary school teams to the highest levels of play. As recently as 2013, more women played on coed teams at the club level than single gender women's teams. Even in the male dominated professional leagues, Ultimate teams also seem to have a greater awareness of gender equality than many other sports. While in practice, all professional teams only employ male athletes, two teams explicitly mention gender equity as an ideal in their missions. These ideals stem partly from the fact that Ultimate came about in a post Title IX world where reaching for gender equality was not stigmatized. The biggest and most inspirational example so far so far of Ultimate players’ commitment to equality and accessibility in Ultimate is in the All-Star Tour. The Tour is a group of the best female college Ultimate players who travel from Seattle to Boston and play elite women's teams in big stadium environments. In comparison to other sports, the All-Star Ultimate Tour can be seen as a cross between basketball’s professional women's league, the WNBA, and Soccer’s single high profile team, the US women's national team. But unlike Basketball and Soccer, in Ultimate there is a concerted effort, even in the male leagues, to work for gender equality. More than just providing incredibly high level and entertaining play to thousands in the US and Canada, the All-Star Tour fulfills their mission to “promote women in Ultimate.” By taking their message of gender equality across the country, the All Stars are actively working to keep the spirit of gender equity alive in Ultimate as the sport expands to the male dominated professional arena. While Ultimate does emphasize gender equity more strongly in its ideals, and groups of people involved in Ultimate have made laudable efforts to promote gender equity and women in Ultimate, their work has not yet overcome our ingrained cultural biases. ESPN exemplifies these cultural biases when it dedicates about 96% of its airtime to male sports, allowing many people to quite literally see high level athletics as solely a male activity. This view of athletics has influenced Ultimate as well. Despite its progress towards gender equality, Ultimate is still similar to mainstream sports born before Title IX in terms of participation. At DiscNW, a Seattle based Ultimate organization, about 35% of youth players are female, and only 30% of the members of USA Ultimate are female. While Ultimate may have some different ideals than the sports that came about before Title IX, in practice our culture's views of gender and athletics have a comparable effect on all sports. In order for the All Star Tour and other Ultimate organizations working towards gender equality to achieve their goals, they must overcome not only the new challenges created by unequal exposure in today’s Ultimate media, but also our culture's general views on women in sports. Vinay is a rising senior at Shorecrest High School. Convinced to play Ultimate in fifth grade after his team needed more players, he fell in love with incredibly high-level play that can occur in Ultimate alongside great spirit and sportsmanship. Since his first experience, he has played and coached with a number of schools and organizations in and around Seattle. Vinay spends what little time he has left outside Ultimate at school, reading, or getting out in nature. A few days ago, a friend reach out to me for a tiny favor. A quick search brought up some great plays, but they were all men’s highlight reels. I knew this was going to be the case, as this is not my first foray into gender balance in ultimate media. If I was going to be helpful in inspiring a 10 year old girl to join a sport, I couldn’t just show her clips of macho dudes beefing out and getting huge diving catches. What is that going to inspire? Of course we are in the thick of the All-Star Ultimate Tour right now, so in the ultimate frisbee and general sports media world these two weeks, all eyes are on the 17 female all-stars that are traveling around the country playing showcase games against top women’s club teams in big stadiums. The multiple camera angle instant replay live streams and the recaps are excellent. And there are men, women, girls, and boys all over the country flocking to the games as they come through town. As I composed my reply, I knew that the All-Star Ultimate Tour’s media was a clear answer to her ask. My hat is off to my sister Qxhna, and all of the passionate people involved in making the tour a reality. It amazes me what is possible when passion and purpose are given the fuel to soar. I am so happy they have done what they have for our sport and for women in sports in general. But at the same time what really frustrated me was that I do not know what I would have been able to send my friend if it had not been for the media produced and distributed by the tour. It pains me to think about how longstanding and how extensive the media gap has been, not only in our sport, but also in sports in general. Of course there are counterexamples, and of course this is not the only disparity in sports and society, but as a general sub-trend, I would like to see the gender inequality in sports media change. So Thank you to the All-Star Ultimate Tour, thank you to all the other movements addressing this issue, and thank you to everyone that is making active decisions to be part of this change, both in front of and behind the camera. Zahlen Titcomb idea maker at Bamboxers.com, co-founder of Five Ultimate, Strategist at the All Star Ultimate Tour, and co-owner of theSeattle Cascades. Zahlen is a sibling by birth, an idea maker by nature, and a social entrepreneur by religion. The oldest of five, Z grew up playing disc sports around the world with his siblings. He captained the ultimate team at UChicago back when it was cool to listen to Dave Matthews Band. He was a local boss (without the tattoos) of developing ultimate in China for many years. Zahlen believes ultimate can make the world a better place, and works daily beside his brothers and sisters on Five Ultimate, The All Star Ultimate Tour, the Seattle Cascades, and TUPO to boost the sport he loves. Fancy yourself a writer? Like to contribute your (or your organization's) story? Email guru@theultimateproject.org with your concept! Jaclyn Verzuh #22 for Seattle Riot, played on the other side of last year's home opener, with the All-Star Ultimate Tour's 2015 lineup. Two short years ago, Jaclyn Verzuh was a Senior when I was a freshman. Playing with Ballard High School, I was part of a young and developing ultimate team. We did all we could to prepare for our regular season game against another Seattle high school team, Lakeside, and that was not nearly enough. Not only did Lakeside already have many club players on their team, they also had Jaclyn, who I had heard was insane on the field. Lucky for us, Jaclyn was gone for our game that year, but we still lost the game. I could not even imagine how it would have been if Jaclyn had been there. My freshman year at the annual Spring Reign ultimate tournament, I saw Lakeside playing on a nearby field. I did not really understand the uniqueness people said Jaclyn played with until that game at Spring Reign. Although she was a quiet leader, she led the team with determination, sportsmanship and spirit. She was a force to be reckoned with on the field, and I remember thinking to myself – I was so happy she missed that regular season game against Ballard because I could only imagine what the score would have been if she had been playing! She played as if she would do anything to get the disc, whether it was a block, a strong cut, a jump, or a bid. Ever since that one game at Spring Reign, I have heard of her and her accomplishments everywhere. She was my brother’s camp counselor at Seattle Youth Ultimate Camp and she now plays on Seattle Riot, the top club team in the region. Seeing her now play in Riot games is surreal, but also so cool, especially because just a short time ago she was playing for Lakeside at the same time I was playing for Ballard. She plays with the same calm and quiet force she played with while on Lakeside, and it was so inspiring to watch. Playing ultimate since 4th grade myself, I know how much work and spirit it takes to be good at the sport. I respect all of the work she has put in and all of the experiences she has had since she started playing in 5th grade. Watching Jaclyn play against the All Star Ultimate Tour this weekend brought back old memories to when she played in high school, and hearing all of the stories of her accomplishments throughout the years. Her journey has not only inspired me, but many others who want to continue their ultimate journeys. Jaclyn’s determination and commitment to ultimate pushes me to not only be a good leader but also a committed and spirited player on and off of the field. Emmy is a rising junior at Seattle Prep, but plays ultimate at her local school, Ballard High. Outside of ultimate, she spends most of her time either in school, playing basketball, or drawing pictures of Despicable Me minions. She looks forward to every spring because it is ultimate season, which means Spring Reign is right around the corner. Emmy believes that the values intrinsic to ultimate, like self-officiation and Spirit of the Game have made her a better person on and off of the field. She always looks forward to playing, whether with old friends, current friends, or new friends, and will always find a way to pick up a disc and play. We are each products of the world we grew up in. Tapestries interwoven with threads that connect us back to the experiences we’ve had, the choices we have made, the people who have inspired us. Inspiration is a beautifully necessary thing. Nothing and no one is created in a vacuum. Sometimes these inspiring moments are obvious to us, other times they affect us deeply without us even noticing their impact. Kate Scarth meets a fan after last Friday's All-Star game v. Seattle Riot. Having our own story, our own fabric of experiences, makes us each each unique. In every story though, there are threads that connect it to the larger fabric of human experiences, sewn together through interactions, relationships and inspirations. The value of this interconnectedness comes with responsibility. A social contract that binds us to look out for one another, strive to make our influences positive, and inspire those around us to become the best version of themselves. Think back to a moment where you were inspired. Think back to a person who inspired you. Maybe it was a parent. Maybe it was a camp counselor. Maybe it was an athlete you saw on TV. Maybe it was someone who looked like you. Maybe it was someone who looked nothing like you. Where did that inspiration take you? Communities are built on shared experience, shared passions, shared stories. They are perpetuated through inspiration. The All-Star Ultimate Tour does not just exist in the present. It is already a thread in the stories of individuals young and old, female and male. It is in the fabric of every person who has been to a game, watched a video of Jenny Wei get an endzone D, seen Bethany Kaylor lay out for the disc, played catch with Jesse Shofner, read an article about how focus and action can achieve great things. More visibility equals more inspiration. For every All-Star game, for every interaction, whether in person or electronically, more people will carry a common thread, though it will mean different things in each story. This thread, woven together into thousands of tapestries will shape and inspire a future. In fact, it already has. Secondly, the concept of "Spirit of the Game" permeates throughout tournaments, and not just during the games themselves. Many teams will join together after they compete to play Spikeball, or a large group game such as "Ninja" - "Tiny Tanks" - or "Disco Mix-n-Mingle." Ultimate players in the Pacific Northwest, however, take these games to the next level, something I experienced recently at Oregon’s 2016 Cramp Up Tournament. Cramp Up is a two day tournament right outside of Ashland, a small town in southwestern Oregon famous for their Shakespeare Festival. Our team was given the name "51st Dates" - so we arrived with a plethora of Hawaiian shirts, Reese's peanut butter cups, and Spam (along with several cases of PBR). What struck me about the tournament, though, was not the players attire or the beverages on the sidelines (these are common at many casual ultimate tournaments), but the "Spirit Games" that the teams partook in. After every game, it was a tradition to name 2-4 players of the opposing team as "MVPs" who would participate in their own unique game each team has created. Our game consisted of two people racing with a beverage between their thighs towards their partner, who proceeded to drink the shaken up beverage from their partner's thighs without using their hands. One of the teams we played, Fancy, created a croquet course using their teammates as obstacles for two of our players to race through. Another team called "Natural 20s" created a gladiator arena, where one of their players stood on top of a wheelbarrow speaker system they created and shot at players on our team with a Nerf gun. What struck me more than the creativity of the Spirit Games, was the importance placed on them. The actual Ultimate games would often start late because one team was still participating in another team's Spirit Game. Even after some of our more heated games where we didn't end on the greatest terms, there was no question about whether or not we were going to force four players on the other team to chug a shaken-up beverage from between their teammates legs. Of course we were - and as soon as we started laughing at the ridiculousness of it, all feelings of malcontent dissipated instantly. AND THIS ENCOMPASSES EVERYTHING I LOVE ABOUT ULTIMATE: IT IS AN INCREDIBLY COMPETITIVE, FUN, CREATIVE, AND QUIRKY ATMOSPHERE. It differs greatly from other sports which are made up largely by adrenaline filled bros, loud authoritarian coaches, intentional fouls, and serious no-nonsense attitudes. That's why I love it when I see things like these incredibly creative "Spirit Games" at tournaments. It reminds me that Ultimate is truly something special, and why I fell in love with this sport to begin with. Chris is obsessed with Ultimate communities around the globe. He travels constantly, sometimes for work, sometimes for fun, always on the lookout for the most vibrant Ultimate players in the area. A few summers back, Chris put this fetish to work, creating a web-series about some of the communities he encountered in his travels. The spirit of Ultimate he saw in those communities has restored his faith in humanity. Written by: Giulia Basile, teaching fellow for a Citizen School and ultimate organizer in San Jose, CA. My name is Giulia Basile and I teach at a Title I Middle School with a diverse student body in San Jose, California. For the past two years, I’ve coached a weekly Ultimate Frisbee after-school program for twenty-five students with the help of dedicated volunteers who join us after full days of work. This year, I’ve encouraged students to share their newfound affinity for Ultimate, in writing. This week, they reflected on a turning point in the season: their first tournament. I do my best to imbue practices with Ultimate spirit and style, but a first tournament will always be the immersive experience when players are finally surrounded by Ultimate culture. Players are united in uniform, coming to the realization that other people in the world play Ultimate too. They see silliness alongside high-level play and Spirit Circles following serious competition. It is transformative. The day is celebratory. It’s affirming. They’re Ultimate players now. I’m a good kid?…. that’s all. I’m pretty sure I woked up at six. I was the first one up. I said to my mom to make me breakfast...I said to my dad to drive me at seven. Later we were at the tournament. We played until our shoes came off. We had a very fun time and played well; collaboration is the key of having fun. I didn’t catch the frisbee and throw it a lot but I defended a lot. I kept defending this guy, he kept juking me, but I kept defending him. People on the other teams - they were really good. I’m pretty sure they make plans. What surprised you about Tournament Day? The fields. But there were actually like 10, like 20 fields there. There was a lot. A lot of old people were there too. When we we left in the van and when we came back we actually talked a lot. Before I didn’t really know the people in my car, but everyone is basically friends now. Also the first time drinking Powerade - very sour. My name is Alex. I was born in Hayward, California. I live with my mom, dad, and brother. My mom and dad are immigrants from Fiji. They came here when they were a little older than me. They came to America to have a better life. I am eleven and on June 1st I will be twelve. In my free time I like to hang out, read, and play frisbee. My mom is pretty good at throwing - I guess she just knew. It was fun! It was a good experience playing with other teams and seeing how much practice they have compared to us and how much more practice I need. Now I know the skills I need to improve on...so that was good. I liked playing with other teams, using the skills I’ve learned, and just having fun spending time with other Ultimate Frisbee players. I liked the moment when Alexis just fired the frisbee and Israel just caught it right in the endzone. Also Spirit Circles make you feel good about yourself and make the other team feel good - that’s nice. I liked seeing the high schoolers playing on the other fields too - that was pretty cool to know that eventually I’ll be at their level if I practice. What do you like about Ultimate as a sport in comparison to other sports? I like it more than other sports because other sports you might also need a lot more gear but with this you pretty much need frisbee, field, people and um, you just need time to play. Also friends...I made a lot. Almost I’m friends with everybody. What do you think about the volunteer coaches who have helped you prepare for the tournament? They’re really cool. I try to practice and I’d like to get to their level almost one day and play on a team like them. I can imagine myself just coming to some school and doing what they’re doing. I am Vietnamese, I like to play basketball, frisbee and I like to swim. I love my family, I have a dog and three siblings, two sisters and a brother, I go to Sheppard Middle School, and I think frisbee is a really great activity to play with other people so you can meet new friends. What was the best part of the tournament? The best part was when I caught the frisbee in the endzone at the end of the game and everyone was cheering. I was very happy and I was proud of myself because I never knew that I would actually score. The cool part was that we were so happy even when either team won. Because what is important is trying your best, not winning. The Spirit Circles were pretty great because other people were saying nice things even if we lost or won. How do you like Ultimate frisbee in comparison to other sports? I think it’s better - some people are nicer in frisbee. In frisbee we say good things about others and there are some special awards - like for Good Spirit - that make you feel better. I learned that no matter what you do or whether you win or lose, it’s always better to try. Because if you win every game, you won’t learn anything. If you lose, you can learn from that. This is the finale in Giulia's three part series, Snapshots from San Jose, which explores what life is like for middle school ultimate players in Basile's after-school program. Check out the previous two additions: Returning Perspectives, and Gender Lines. Giulia majored in Hispanic Studies at Brown University, where she played ultimate for Disco Inferno. These days you'll find her playing, organizing and teaching ultimate in the Bay Area. Giulia's students are an example of how ultimate is more than just a game. It is a tool to impact lives on and off the field. Now, discs fly through the air at lunch and after school in San Jose, as parents and kids look forward to many seasons of ultimate to come. The players in the Southend ultimate community know where they are from, and where they are going. This sense of identity and pride in community and self is the result of work by individuals and organizations in South Seattle, that are using ultimate as a medium to empower and educate youth. Programs like All Girl Everything Ultimate Program (AGE UP) and its mother organization Southend Ultimate Program (SUP), have cultivated a community that transcends neighborhood and school district lines, which at one point were the source of violent divisions in South Seattle. Southend’s mission is to “invest in the transformative capacity of youth living in South Seattle, especially young women of color. We empower future leaders, expand opportunities for personal growth, and bridge cultural, socioeconomic, and geographic divides. Our community is built around a love for Ultimate Frisbee, and our ties are strengthened through a commitment to social justice.” One of the organization’s central goals is to create an environment where young people from all backgrounds feel comfortable contributing and learning about issues that are a tangible part of their lives. In this environment of open dialogue, leaders are born. Through mentorship with incredible coaches and elite ultimate players from teams like Seattle Riot, Washington Element, and Seattle Underground, young players are nurtured into leaders and advocates for their community and sport. One of these players is Michelle Yee, the youth co-president of the SUP Board. Michelle started playing ultimate for Asa Mercer Middle School in 6th grade, looking for an opportunity to make new friends and have fun. She happily gained about twenty times that. Michelle is just one shining example on a long list of young leaders that are being empowered by Southend’s programming. The non-profit operates on funds from grants and donations and is currently holding their annual #GiveBig fundraiser in coordination with the Seattle Foundation. You can support them by giving here. Donations given before or on May 3rd are stretched by matching funds through the Foundation, so now is the perfect time to give! Click the picture to watch a short video by Seattle Channel's Community Voices. AGE UP holds workshops that address themes like race, class and gender issues. At the core of this community, is a sport that is being used as a tool for social change in neighborhoods all over the world. A self-refereed sport centered around the idea of sportsmanship before competition, ultimate lends itself well to this kind of practical education and open dialogue. At every game, players practice communicating issues and resolving conflicts with their opponents. What do Southend ultimate players gain from this clearly awesome community nurtured by incredible organizations? Confidence, agency and a community identity that they carry with them for the rest of their lives. Watch out world, Southend is quite literally growing our future leaders through ultimate. Which will in turn help make our global community a more inclusive and equitable place. Help them, help you and consider donating to their great programs! My name is Giulia Basile, and I have the privilege of teaching at an incredibly diverse Title I middle school in San Jose, California. During the past two years here, I have had the opportunity to create and coach an Ultimate Frisbee class during the after-school program. Students’ commitment to Ultimate has skyrocketed. Not too long ago students did not consider it a legitimate sport, but now students and parents will travel up to two hours to attend a tournament. Working with the incredibly diverse students at my school has given me many opportunities to to learn about how to be a better teacher and coach. After attending the March 2016 Youth Ultimate Coaching Conference on Gender Equity and Girls Ultimate in San Jose, I’ve tried to shift and refine the way that I approach my team in order to offer a more welcoming, open Ultimate playing field. Girls’ involvement in sports here is limited for a variety of reasons (cultural, socio-economic,etc. ), but hearing these young ladies’ opinions has motivated me to keep fighting to do my job better. They’ve got tenacity and they’ve got confidence. They have a lot to say about how Ultimate has affected their self-perception as athletes, and how playing mixed is a unique, enjoyable opportunity. This is the second piece within a three part series about Ultimate’s profound effect on one group of middle school students, reporting from their Title I public school in San Jose. The first interviews covered three ‘veteran’ players and their decisions to stick with Ultimate for a second year. This time around, I talked with three girl players who shared what it means to be female athletes within their Ultimate Community. Do you think of yourself as athletic? Yeah, yeah, all my friends say that about me. In PE they always say I was beating up the boys. It makes me feel pretty good to say I’m athletic - that I am healthy, and that I am in good shape. I’ve been showing my mom what Frisbee is. She’s seemed really excited about it and she is very happy for me. When my Frisbee coach said I was athletic, she was shocked… she was like, “Oh, I didn’t know that about you.” Probably because before I played Frisbee I played on technology a lot, just inside my room, just doing nothing. How do you like playing on a Mixed Ultimate team? I like how we’re not separated from each other…it gives us options to make friends with boys, and the opportunity to get along very well. Having boys on the team is good because sometimes they get really competitive and I get competitive too. Sometimes in sports women get mistreated and the boys, they have all the glory. And for Frisbee I really like how men and women get to play together and the women get as much glory as the men. I like to describe myself and my family as following really good traditions. For Chinese New Year we like to make a lot of food for people…we make fried sesame dumplings and hang up decorations – they’re red because the Chinese like red. How do you feel as a female athlete in Ultimate? Ultimate shows girls who are shy that they can actually go out and play and that they can be better than boys. Some people don’t have the self-confidence to go out and grab a Frisbee and throw it somewhere. If they actually try, after a few tries they could throw it good. If I pick up something that’s the shape of a Frisbee I could probably throw it. How does your family feel about you playing sports? Do you hope to keep playing sports later in your life? If I could be on a frisbee team later in my life, I would. School is like a sit, you’re not really moving a lot. It feels good to move – if you’re running, you might get tired out, but once you catch a Frisbee, you’re like, “Oh, I caught it, and I want to throw it again,” and you just keep on moving. I have a great family, great brother, but sometimes my brother and I don’t get along that much. In school I have really great friends that support me and I support them back…Math is my favorite class; I mostly have really good grades in math. I’m mostly proud of that I have a wonderful life and great friends. Mostly soccer players: Chicharito and Messi, Ronaldinho and Neymar. Soccer is one of my favorite sports. Since I was eight years old, I started to play on a team called Portugal, and after that I went to Deportivo Guerrero, and after that I went to Atlas, and after right now I went to PAC. Mostly I watch soccer with my dad, and mostly there are just boys players. What do you think of yourself as an athlete? I think of myself as a really great professional at soccer and Frisbee. It makes me feel energetic, strong, smart. I want to keep on playing sports my whole entire life so I can be strong and fast. Ultimate is new for me – you can do a lot of stuff with a Frisbee. My team helps me a lot because this is my first time playing. How does it feel playing on a mixed Ultimate team? I can keep up with everyone. I’ve spent most of my entire life playing on a team with boys. Since second grade, I mostly hanged out with boys. Some boys think that girls are not strong enough, but they are strong, they have the rights to do anything – any type of sports. I’m being a really good role model because I really want to help other girls go to their favorite sports. I want to support them. Check out the first article in Giulia's series, Returning Perspectives! On fields, beaches, and parks across the world, people are chasing plastic, taking part in a movement that is sweeping the globe: Ultimate Frisbee. Ultimate is a fast-paced, non-contact sport played 7v7 on a soccer sized field. One team passes to advance the disc down the field for a score in the opposite end zone, while the defending team tries to stop them with a turnover. Just a few decades ago, you would have needed this explanation because ‘ultimate’ was relatively unheard of. Today, twice as many people in the USA play ultimate than rugby and lacrosse combined, and there are thriving high school varsity programs across the country. Connected by their love of the game, a fun, inclusive, and socially conscious community has been built around ultimate, and it is growing rapidly. This is not accidental. This is happening. In fact, this has already happened, and I’m here to dive deeper into the phenomenon. Fast growing communities make us wonder what makes them so contagious and enticing. These days, if you don’t play ultimate frisbee yourself, you probably know someone, work with someone, or are parent to someone that does. We all want to be part of something unique, we want a sense of belonging, we want to feel the joie de vivre of participating in something successful, in the moment, and be part of the in crowd! Communities have existed since the dawn of time. There are a myriad different ways to categorize them and a plethora of institutions that have studied them in depth in hopes of defining them. One such institution is the THNK School for Creative Leadership, an entity well entrenched in the study of the success of such communities, and an exemplar community in and of itself. It’s predominantly self officiated, with no referees, all the way up to the world championship level. it’s cheap and accessible, as all it requires is a disc and an open field. It is most commonly played co-ed, by design including men and women on the same playing field. It is a genuinely fun workout that combines skill and athleticism, with running on offense and defense, and a disc that can claim both simple and complex flight paths. As fun and unique as ultimate is by design, the community that surrounds the sport is the backbone supporting its recent success, millions strong and growing. But is ultimate’s success random, or can we draw some conclusions from its swift rise to center stage? Well, it turns out there are ingredients, a primordial concoction of essential elements that make up a strong community. Successful groupings of individuals, according to THNK, share 8 core pillars in their existence. These are: (1) collective intention, (2) a distinctive and unique identity, (3) a common working practice or ritual, (4) a safe place of being, (5) soul-feeding and momentous events, (6) a network of personal connections, (7) a distinction of distributed roles, and (8) a community platform. As Ultimate continues its exponential growth around the world, we can break its success down into these 8 strong pillars that exemplify its welcoming community, a community that is nurtured by common experiences shared by diverse individuals playing together, fueled by a shared love of the sport. Over the next weeks, we are going to explore these 8 pillars in more detail as we dissect what it is that makes ultimate so contagious and naturally welcoming to newcomers. I challenge you to investigate to what extent your community, ultimate or not, identifies with these. From the end zone to the dance floor, join us! Zahlen Titcomb idea maker at Bamboxers.com, co-founder of Five Ultimate, Strategist at the All Star Ultimate Tour, and co-owner of the Seattle Cascades. Exciting news in the world of sports today, and it’s not another domestic violence case, elaborate stadium built on the public’s dime, or blatant denial of fact-based criticism. The USA Women’s national team has filed an action against the US Soccer Federation over equal pay. Even for the staunchest men’s soccer fan, it’s hard to begrudge the team of incredible athletes who have brought in national fame, a world cup title, and $20 million more in revenue than the men’s team. And that’s just last year’s accolades. So, what? So, heck yeah! I stand with the women’s soccer team and all the other voices out there speaking up about gender imbalances in sports. Fighting inequity is an uphill battle, especially for traditional sports built on a male-centric idea of athletics with long established biases. That’s where fresh thinking, progressive ideals, and a clean slate give Ultimate Frisbee an interesting advantage. Ultimate is in a prime position to tackle issues like gender equity as a younger sport growing at lightning speed. Some of the founding principles of ultimate give the newest national pastime an interesting opportunity to become a leader in shaping gender equity in athletics. Alongside single gender leagues, ultimate is played co-ed all the way up to the world championship level. Pure sportsmanship is built into ultimate, BY DESIGN, through the widespread system of self officiation that 99% of the players adhere to. These are qualities built into the game when ultimate first started to come together as a sport in the 60s, a time when our country and the world was voicing significant disapproval of the prejudiced status quo that had presided over society for centuries. Today, we live in a time where those similar voices are strong and well, and we are mobilizing in new ways to rekindle some of those battles in a freshly active generation. Qxhna Titcomb presented at the 2016 Youth Ultimate Coaching Conference on the success of the All-Star Ultimate Tour, and the clear demand for female media coverage. While we are undoubtedly facing some of the same challenges that other high level sports organizations are up against, we have a unique opportunity to forge our own road, write our own future, beat our own drum, or dare I say, pick our own flight path. We are already making great strides with the popularity of organizations like Ultimate Peace, the USAU supported GUM programming, the All Star Ultimate Tour, and the individual and collective voices in some of the pro teams. I challenge the public to take this opportunity and run with it. My hat is off to Hope Solo, Carli Lloyd, Megan Rapinoe, Becky Sauerbrunn and Alex Morgan for taking a brave dive into a battle that shouldn’t even be a battle. I hope that this settles in favor of what is right, and that it brings equal pay and, in general, gender equity to center stage. In September of 2015, I had the pleasure of speaking about ultimate, gender in sports, and youth participation at FIFA headquarters in Zurich to the executives of women’s soccer national governing bodies from the countries of the world. The dialogue was bright and optimistic, but I was surprised that the nature of some of the biggest challenges from the audience were problems that ultimate has either overcome, or is making quick and inclusive strides to conquer. We are in control of our own future in the ultimate world, and I hope that we can be on the right side of history and support USA Women’s Soccer team for #equalplayequalpay. Because we are built on a solid foundation of inclusiveness, sportsmanship, and a cooperative value system, I work, play, breath, sleep, and support ultimate. I’m not doing everything right, and I don’t have all the answers, but I smell progress, and I’m chasing it. My name is Giulia Basile, and over the past two years I have been lucky enough to work at an incredibly diverse Title I middle school in San Jose, California through a nonprofit called Citizen Schools. In addition to my teaching responsibilities here, I’ve had the chance to create an Ultimate Frisbee after-school elective, and it’s been a privilege to coach a growing number of students. In two-years time, the sport has gone from being virtually unknown to unbelievably popular on campus, all at an incredibly low startup cost. At the beginning of last year we struggled to get any students to commit to games; this year students and parents requested the tournament schedule months in advance. While I can write endlessly about the deep physical and social-emotional impact that Ultimate has had on our school over a relatively brief time span, I find the students’ words to be far more motivating. Ultimate folds into their self-told life histories. It has broadened and strengthened their personal identities. Ultimate Frisbee has brought together a lovely group of students while providing each one of them the outlet they need, and - they are the first ones to voice that. I’ve had the opportunity to learn about their personalities and backgrounds through the lens of Ultimate, which is in itself, a singular joy. This is the first piece of a three-part series that will share students’ perspectives on the way that Ultimate can affect middle school students, in any community, on a grand scale. In this first post, I interviewed three ‘veteran’ players who were excited to talk about why they decided to come back for a second season of Ultimate. Do you play frisbee outside of school? I actually inspired my sister to play frisbee so she likes it too, and she also likes to play baseball. We play catch and with our neighbors we play little games of frisbee at our home. I live in an apartment - I’ve been living there since I’ve been in kindergarten - and in our parking lot we make a little field - our neighbors are always knocking on our door, saying “let’s play frisbee, take out your frisbee!” We play cops and robbers a lot too. Like sometimes me and my neighbor - he has a truck and we will be playing frisbee and we’ll try to jump off the truck. I remember once it was my turn to try and catch it and it hit me in the face. Why are you back for another year of Ultimate? Now, it’s like the new sport. Everyone likes Ultimate now. I love the tournaments - after every game it’s fun because we do a circle and we do different things. My favorite memory was when I made a diving catch in the tournament, and when we actually won a game. My dad, well, he’s always asking me when is there going to be another frisbee tournament and if I’m on the team. He’s always trying to be updated. He always wears his Ultimate Frisbee hat. In five years, I see myself in college playing baseball and hopefully frisbee. My brother is a freshman at UC Davis and he tells me that there’s an Ultimate team. I am Vietnamese and Cambodian. I live with my mom, dad, brother, sister, me, my aunt, my uncle, my little cousin, and my grandpa and grandmother – that’s five…that’s ten people. They help me with homework, and they give me more confidence. They tell me I can do anything and they tell me it’s okay to do whatever you want as long as you learn how to do it. I want to do computer engineering. That I don’t like to wear dresses. Everybody says, “Oh, you look good in a dress,” and I want to say, “I want to take this off right now”. It’s all poofy, too poofy. A lot of people also don’t know that I play Ultimate Frisbee. But more and more people do. When I started playing Frisbee last year I didn’t even know that Frisbee was a sport. Frisbee is really fun to play - I like that I get to walk around and hold a Frisbee, and I like to practice my flick and my backhand. I can probably teach new people how to play now. Sometimes I play Ultimate at home – I play with my brother and sister, and my little cousin tries to steal the Frisbee. He does a really bad job - I hide it under the sofa. They don’t know where I came from. I move here like a year and a half ago. I’m from Pakistan, I’m Pakistani, I’m Muslim, I came and I learned English. When I was in my country, I was worried because I thought English was so hard. I usually got first place in school competitions, my other brother gets second place, and the other brother gets third place. But my English was the scariest thing about coming - when we were in the airport, we had to stay two days in the airport because my parents couldn’t speak English, so the guys they couldn’t understand us. We slept in the airport and the second day they gave us our rooms. They didn’t know what we were saying because we couldn’t speak English. Here is much better because I actually learn something, not just wasting my life over there. When I went to the first school, it was good but the second one, no. Because they didn’t actually do anything - they just waste our time. Here they teach me what I like - frisbee and English and other stuff. One day I want to be an engineer and I want to play frisbee. Why are you back for a second year of Ultimate? Frisbee is the first sport I like because in Pakistan there was not many sports, just cricket. I think I did get better this year and I want to learn more frisbee than I learned last year. Maybe I could be a captain. Last year I loved when we went to the tournament. There was a short team and they beat us because we didn’t have that much experience and know those kind of skills. But there was a tall team and we beat them because we were faster. Now when I’m bored outside because I can’t do anything, or when I’m at my home on Saturday and Sunday, I’m not going to be bored because I have my frisbee. At school when I’m bored or I don’t have any friends around, I can play frisbee. Frisbee is my friend. Check out the second installment in Giulia's series, Snapshots from San Jose: Gender Lines! Sometimes I like to flip through my mental photo album, and think back on the old days. The days before the famous floppy disc, the revolutionary post-it note and the life-sucking cell-phone, back to that parking lot in New Jersey where the game of ultimate took its first steps. We’ve turned the page on many chapters in ultimate history, notably, parking lots (except in dire consequences), Wham-O frisbees and tie-dyed cotton longsleeves. I think it’s safe to say that in both ultimate and file storage, we’ve come a long way. Not without the occasional speedbump, however. 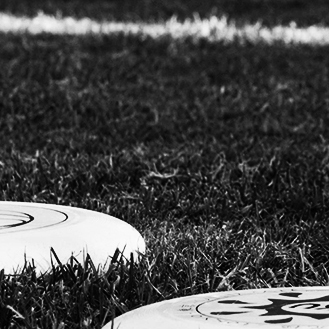 In the vast and celebrated history of ultimate, the introduction of male professional leagues was a controversial snapshot in the timeline of ultimate history. While some professional teams are turning the page on their fourth year, the controversy in the community is still being shaken like a polaroid picture. One of the hottest topics in the ultimate community now is gender equity and the current unequal growth of the sport at its highest level. Can these exclusively male professional leagues contribute to a better sport? Or just a bigger one? Saying that male professional leagues are raising the level of visibility for all players, is about as easy as claiming that Seaworld is doing a service to the killer whale species. Half of the people weighing in on the matter are not actually okay with the situation. Which teams are committed to bringing players of every gender and background into the spotlight with them? Well, we looked into it. Of the 26 teams in the AUDL, only TWO explicitly mention equity in their missions. The Raleigh Flyers and the Seattle Cascades. The Flyers’ mission is to connect players of all backgrounds to the sport. The team even signed Jessi Jones, a player for Phoenix, an elite women’s club team, for a single game, as part of programming to recognize female players. The Washington franchise has proven to be more vocal on the subject though, citing their belief in the equal value of male and female players in their mission statement, requiring a gender and officiation workshop for athletes and employees, and producing promotional content directly dealing with the subject of gender inequity. Sam Harkness’ recent player spotlight video, discussing privilege, went viral. The clip begins with a provocative statement from Harkness, “It’s easy to be blind when you have all the privilege in the world.” Sam is taking this opportunity (along with many others in the past) to use his voice to acknowledge the issue and encourage his teammates and opponents to do the same. If professional male athletes, and the organizations they represent, can use these opportunities, instead of taking them for granted, perhaps that future really can be both bigger and better. Even if these professional men are speaking out, it doesn’t immediately change what is clearly an unfair situation. Many ultimate players, and notably the sport’s governing body, have a hard time accepting and/or stomaching the professional version of ultimate. As well as ignoring problems has gone for communities and individuals in the past, let’s not forget the ancient proverb: global warming doesn’t care if people don’t believe in it. Excluding professional men’s ultimate from our treehouse doesn’t mean it won’t exist. Maybe letting it inside, so we can keep an eye on its shenanigans, isn’t such a bad idea. Working cooperatively from within this new avenue might allow the community to drive the direction of the sport, and give us control over the product. After all, what do we want the youth of America to look up to? Athletes who are divos, or advocates? Robyn played with Madison Heist during the PAUC 2014 finals Photo: Roberto Garrido. We all have a friend like Robyn Wiseman. A person who lives their cause. Sometimes that friend makes you feel incredibly lame and unmotivated by comparison, but usually they inspire you to get out there and exceed your own expectations. Robyn is a hugely positive presence in the Madison ultimate community. Her ultimate CV is almost actually unbelievable (further supporting our theory that time turners do in fact exist!). Not only is she an elite athlete - a captain of Madison Heist and member of this year’s WUGC USA Mixed Team - she devotes a huge amount of her time to coaching for University of Wisconsin’s most competitive women’s team, Bella Donna, and Madison’s YCC U19 team. Robyn also organizes the Madison Ultimate Frisbee Association (MUFA)’s TRAIN program, a weekly skills clinic for area players, and acts as the Women’s Chair of the MUFA Board of Directors to advocate and organize for female athletes. Phew. And she doesn’t even stop there. Robyn is a driving force on the women’s side of the sport, using ultimate as a tool to make a very tangible difference in the lives of her players. We’re talking Ellen kind of empowerment. She brings this “bigger picture” way of thinking into coaching the young people on her YCC team, utilizing ultimate as a medium to consider complex and far-reaching issues like gender equity. As for the college-aged women she works with on Bella Donna, her coaching method is to encourage unapologetic assertiveness. Robyn is not just good at teaching people to play, she cares deeply about the women she coaches, and the cause, namely gender equity in ultimate. Her work is a prime example of how much reverberating power one person’s actions can have within a community. She couldn’t be more right. Everyone loves their teammates, but genuinely respecting and appreciating your opponents is something that is majorly lacking in most sports. Ultimate provides the opportunity for players all over the world to connect, and appreciate what each person brings to the proverbial table. The most motivating thing about Robyn though? She is really just a more dedicated version of every player, an example of the potential that each of us has inside, waiting to be coaxed off the couch and into action. When you hear all of the work that Robyn does for the Madison ultimate community, the natural reaction is to grab your cleats and a disc and run out to change the world. I have personally felt that rush of inspiration many times in my life, prompting me to invest in soccer socks, a make-your-own mozzarella cheese kit, and most recently, a touring bicycle (thanks, Ivan). Generally speaking, my ambitions far exceeded my motivation. That is what separates the organizers (Robyn) from the sock-owners (me): mad motivation skills. Lucky for us mere mortals, sock owning (a.k.a. getting started) is the first step on the path to living your cause. Now if only Robyn also hosted self-help seminars for slackers like me.